The Fish Vet’s make some Finchat. 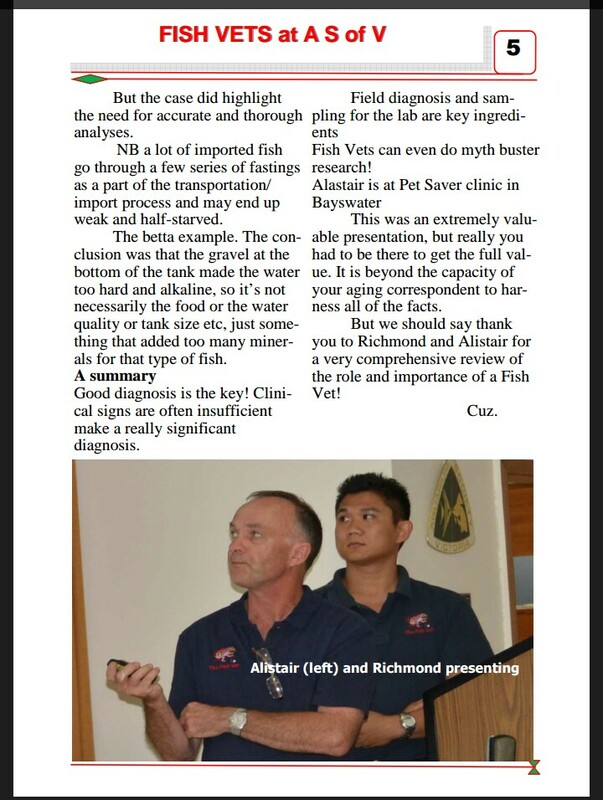 ​We made a splash in Melbourne, and feature in the Combined Fish Clubs of Victoria ‘s publication. Fish with ulcers due to other causes (e.g. lice, anchor worm, flukes, bacteria, trauma, etc.) can be treated by various means, targeting the primary cause, together with symptomatic therapy. 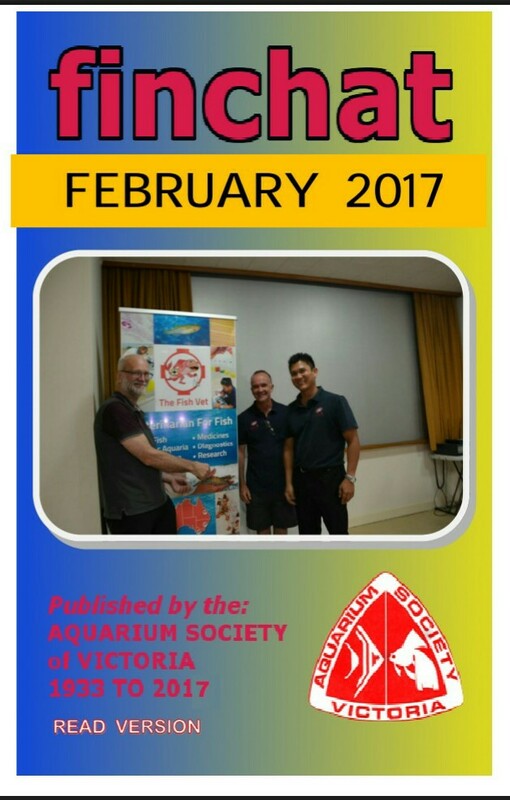 Next Post ​The Fourth FRDC Australasian Scientific Conference on Aquatic Animal Health & Biosecurity will be held in Cairns, Queensland, Australia.